Vtech Sleepy My First Glow Bear helps to soothe baby. 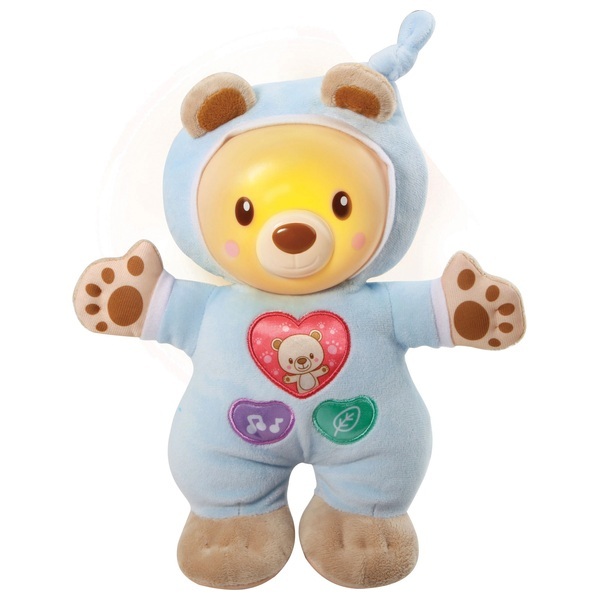 This soft and cuddly soothing bear features a squishy body, soft furry feet & paws and a soft glowing light to help soothe baby. 3 press buttons play loving phrases, white noise and nature sounds. Includes 2 sing-along songs and 40 melodies. Parent friendly features include a light control switch and a timer.